Car dealers today are under immense pressure to generate more new leads than ever before. With the average car shopper visiting only 1.6 car dealerships before making a purchase, down from an average of five, this is becoming more difficult to do. It’s also becoming more difficult to convert on those new leads you do manage to generate. This is where lead management becomes more important than ever. With more lead-generating potential created by new online and digital marketing methods and increasing competition to convert on those leads, lead management has become an integral part of the car dealership’s sales process. The internet has given rise to many new methods of marketing. Today’s businesses can instantly reach prospective buyers through any number of means. You may use Facebook, Instagram, and even Google ads. In addition, your website is an important tool to drive new leads. Despite this increasing potential for lead generation, it’s become somewhat more difficult to reel in new prospective customers. Today’s car shoppers visit far fewer dealerships than they did just ten years ago. How do you make sure your dealership is the first and perhaps only place they stop? Lead generation thus starts even before a customer is actively looking to buy a vehicle. You may use your website to provide useful information about car care, recalls, and new innovations in the automotive field. You might advertise the sales you close on Instagram or interact with potential customers there. If you’re engaged in effective lead generation, you’ll encounter a new problem. You’ll have so many leads, you won’t know what to do. This is why lead management has become so much more important for car dealers in recent years. With so many leads, you need to be sure you’re managing them effectively. Not every lead is a quality lead. Lead management helps car dealers determine who is ready to close, who’s seriously shopping, and who is just browsing for fun. Much the same way you may encounter less serious buyers on the lot, you’ll find plenty of less serious leads through online and digital marketing. Good lead management helps you sort the best from the rest. 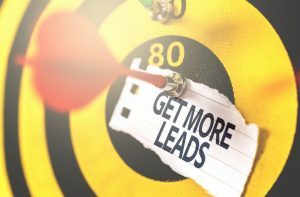 Good lead management for car dealers does more than just allow you to sort your leads into “definitely,” “maybes,” and “probably nots.” It also provides the tools you need to follow up with leads in a timely and effective manner. Since the average car shopper visits one to two dealerships, you’ll need to be quick with follow-up. Most customers today award their business to the first company to provide “added value” to a transaction. If your response time is swift enough, you’ll be able to deliver that added value first. How do you add value to a transaction? In some cases, it can be as easy as providing interesting information. Some of the most valuable lead management tools for car dealers allow them to track their leads. You may discover the kinds of content they’re looking at on your website, which other vehicles they’ve viewed, and more. With this information in hand, you can follow up with them by providing content relevant to their interests. For example, if someone is shopping for Corvettes on your website and you have a new one arrive, you might follow up with them about it. If the new car you receive is a pick-up truck, you may not contact this particular lead. How Can You Get Better Lead Management? It’s clear lead management has many advantages for car dealers. If you want to improve your lead management, consider adopting new digital tools to assist you in your digital marketing efforts. They could help you improve both lead generation and lead management to make more sales.